Angela Maiers is a pioneer in digital literacy and education technologies. An award-winning educator, author, and speaker known for her work in education leadership and innovation, Angela works tirelessly to bring compassion-driven learning to classrooms around the world. As a social media evangelist and consultant, she helps learners and leaders understand the transformative power of technology. Her powerful message and down-to-earth style has made her a highly sought-after keynote speaker for education conferences, corporate events and innovation summits. Angela is the founder of Choose2Matter, a global movement that challenges and inspires students to work collaboratively to develop innovative solutions to social problems. In a June 2011 talk at TEDxDesMoines titled "You Matter," Angela Maiers spoke of how these two words can change minds and change lives, if we understand them and leverage them in the right way. People reacted powerfully to this call to action, undertaking awe-inspiring quests to address problems in our world. Choose2Matter was created in response to this breathtaking reaction. It is a call to action that invites people to make “mattering” a way of life. We launched Choose2Matter as a series of live events that we bring to schools around the country. We will visit dozens of schools in the 2014-15 school year, and release a multimedia curriculum that enables schools to participate on their own. To empower people to effect change, we are curating an online library of content to help them understand major problems facing society today, and how to solve them. This will enable people to be fully informed when developing an approach to solving problems. We are developing a program of “mentoring at mass scale.” It leverages the wisdom and experience of adults to guide the energy and passion of youth. For students, the knowledge that adults take their ideas seriously impacts how they approach their contribution. Choose2Matter creates an authentic, social entrepreneurship learning experience for students, in which they learn skills that are relevant to the modern world. Angela spent 14 years teaching elementary school in Des Moines, IA, and 10 years as a literacy coach, special programs facilitator, and university professor. She is an alumnus of The University of Iowa, where she earned her masters in educational supervision and reading. She has also authored six books, including Classroom Habitudes and The Passion-Driven Classroom, which introduced the concept of “Genius Hour” in education. Her "You Matter" talk at TEDxDesMoines has been viewed several hundred thousand times and was the impetus for Choose2Matter. Angela Maiers is a consistently energized and recognized worldwide speaker greatly impacting leadership through not only the education, but in the business and innovation community as well. Challenging educational philosophies and business ethics, Angela strives to achieve total synergy and unstoppable energy by reconstructing the thought process of many dated ideologies. A fresh breath of life to the business and education communities, every inspirational message Angela delivers is tailor made to fit each unique audience and their particular challenges. Liberating Genius is a movement designed to help leaders and learners break free from the addiction of security and acceptance of mediocrity and rekindle the genius within. We can no longer afford as individuals or as a nation to allow our best talents to remain buried beneath well-intentioned but lifeless rules of school. Liberating Genius is a framework and system that fuels innovation, creativity and ability to impact our learning and the world. There is genius within; together let's unleash it. In today’s world we face technological applications in daily living the likes of which, even a few short years ago, would have been inconceivable. This is a digital age, with interactive devices storing and recording our life experience and containing overwhelming amounts of knowledge. This has become the essence of life in the 21st Century, but more specifically the lives of our children. This session will instill awareness of the importance of the change that is happening today, help educators and organizations understand and re-evaluate current practice, and to provide guidance in how to make change a “want to,” not a “have to. While the role of technology is vital, it comes with its own limitations. Learners are unable to take advantage of the unprecedented opportunities afforded to them in the digital age if they are not encouraged to build on to their current literacies and embrace their role as digital citizens.To level the playing field for all, a focus on digital literacy is imperative and is central to the future of every human being. Digital literacy and critical analysis do not naturally emerge because we put devices in students’ hands or require assignments to be in the form of PowerPoint slideshows and blog posts. Fluency in any language; digital or otherwise, comes from immersion and access to those grounded and fluent in the language. It must be taught explicitly and directly." It is our responsibility as educators to help today's generation of teachers and students make the "RIGHT" decisions about the technology they use. They must learn to use technology in ways that are real, impactful, global, honoring passion and amplifying talent. The R.I.G.H.T framework seeks to capture the essential qualities of knowledge required and perspective for effective technology integration into teaching and learning while addressing the social and connected nature of the changing landscape. Angela will offer examples of current research and practice as well as wider implications for education leaders, teacher professional development and policy. Education driven by passion awakens us to new learning and a world bigger than ourselves. Passion makes us curious, compels us to dig deeper, and sustains us as we persevere towards answers to questions that matter most. 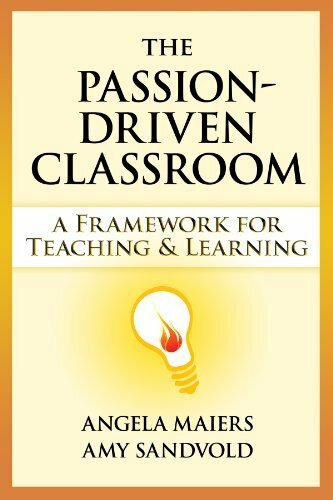 In this presentation, we will explore how the principles and practices of a passion-driven work -- disciplined study, fostered imagination, active participation and community contribution -- can and will transform the teaching and learning process. Creativity, Innovation, Problem Solving… buzz words no longer! To meet the complexities of today’s world, our students need more than skills — they need Habitudes! Successful students, workers, and citizens have identifiable habits and behaviors which allow them to manage emotions, communicate effectively, and sustain themselves as independent and successful lifelong learners. This session explores intentional lessons and conversations that nurture and develop these habits and attitudes; the Habitudes that ensure our students’ success far beyond our classrooms. 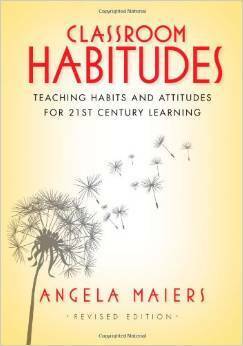 Watch Angela Maiers answer: "What Are Habitudes?," and "Why Are Habitudes So Important?" We create highly customizable workshops and training sessions to help learners of all ages develop their skills in critical thinking, reading, and communication. Here are some of the areas of which I can offer through support and training. I believe each can take your classroom, school or organization to the next level. Just as athletes need coaches to help them hone skills and strategies, I am able to provide a process for systemic improvement. I offer guidance in social media, new literacies and communication, and leadership at both the individual and organizational level. Need a question answered? Want an hour with me to solve a quick problem? Or, if we need more time to talk, I have lots of options for us! Visit our Contact page for more information.